When the highest quality mechanisms are required, commercial quality D-Series locks are your best choice. Precision manufactured to exact tolerances, this top-of-the-line series is best suited for commercial, institutional and industrial use. Handing: Keyed functions of knob designs are field reversible. Door Thickness : 1 3/8” to 2” (35mm–51mm) standard. 2” to 2 1/2” (51mm–64mm) optional. (60 mm, 95 mm, 127 mm) optional. (29 mm x 57mm) square corner, beveled. Lock Chassis : Steel, zinc dichromate plated for corrosion resistance. 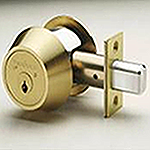 Latch Bolt : Brass, 1/2” (12mm) throw, deadlocking on keyed and exterior functions. 3/4” (19 mm) throw anti-friction latch available for pairs of fire doors. Exposed Trim : Wrought brass, bronze or stainless steel. Strike : ANSI curved lip strike 11/4” x 4 7/8” x 13/16”lip to center standard. Optional strikes, lip lengths and ANSI strike box available. See page 20. 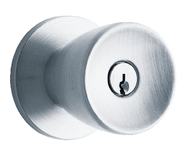 Cylinder & Keys : 6-pin Everest C123 keyway standard with two patented nickel silver keys per lock. 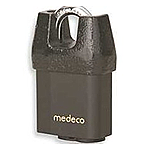 Keying Options : Full size interchangeable core and Primus® high security cylinders. Master keying, grand master keying and construction keying. Warranty : Three-year limited warranty. ANSI: Meets or exceeds A156.2 Series 4000, Grade 1 strength and operational requirements. Federal : Meets FF-H-106C Series 161. UL / cUL : All locks listed for A label single doors, 4’ x 8’. Letter F and UL symbol on latch front indicate listing. Electrified functions are UL19X Listed for single point locking applications. UL437 Listed locking cylinder optional: specify Primus 20-500 Series cylinder. 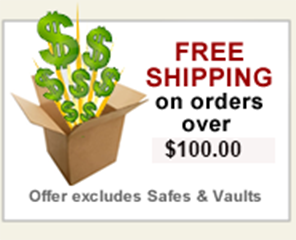 ADA Compliant : Schlage Lock Company offers a wide selection of locks designed to meet the Americans With Disabilities Act.